At this point, there seems to be a health-care startup to meet almost every basic women’s health need. We can consult apps like Maven Clinic for a UTI prescription or a lactation consultant session, get a read on fertility with services like Kindbody, and score birth control pills, emergency contraception, and HIV prevention drugs from Nurx. But there’s still one subset of women who haven’t been directly targeted by the fem-tech revolution: those seeking menopause treatment. This is absurd, considering that the American Congress of Obstetrics and Gynecology (ACOG) says an estimated 6,000 US women reach menopause, or the permanent end of their menstrual cycles, every day. And that’s not even counting the tens of millions who are experiencing symptoms of perimenopause—the transitional phase in which a woman’s ovarian function starts to decline and periods become irregular during her late 30s and early 40s. Not only is there a huge market for menopause support, there’s also a huge need for it. Starting during the perimenopause phase, which lasts an average of four years, it’s not uncommon to notice a tanking libido, mood swings, weight gain, hair loss, insomnia, vaginal dryness, and hot flashes—serious symptoms that can dramatically affect a woman’s quality of life. And although there are drugs and natural therapies that can help, the ACOG estimates that 55 percent of women don’t do anything at all to treat their symptoms. 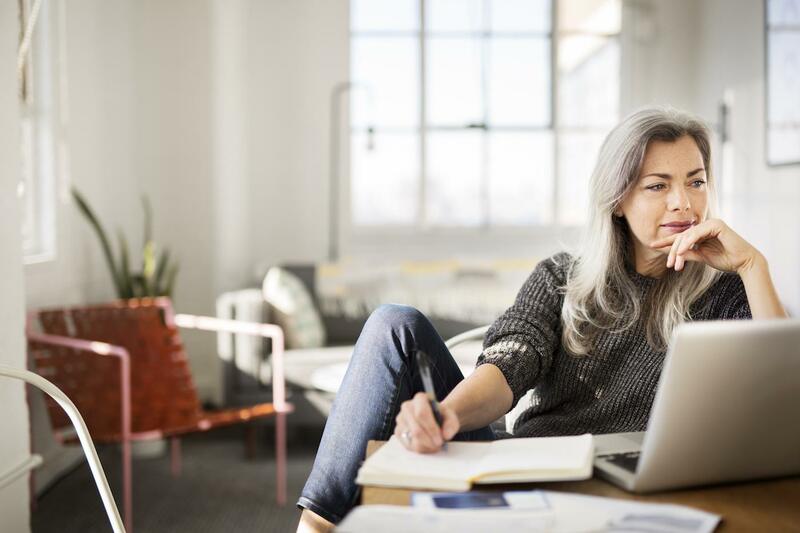 With this unfortunate state of affairs in mind, health tech company Ro launched Rory, the first nationwide telemedicine platform serving menopausal and perimenopausal patients. 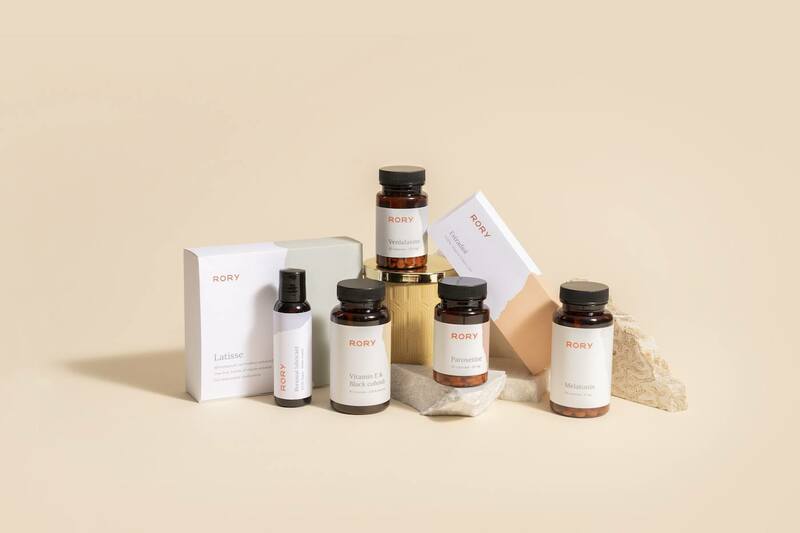 While startups selling over-the-counter menopause treatment do exist (one being Genneve, which launched in late 2018), as well as an AI-driven tool that creates custom products for menopause-related symptoms (looking at you, Menopause.ai), Rory is the first to offer a range of both prescription and natural solutions using a direct-to-consumer model. Some of that has to do with a lack of information. “Menopause treatment has not been discussed much in medicine, beyond the symptoms that women experience,” says Jessica Shepherd, MD, a member of Rory’s all-female medical advisory board. She says a lot still needs to be better understood, such as why certain symptoms cluster together or happen at various stages of menopause, or how symptoms may differ across cultures, race, and ethnicity. This can make it hard for some doctors to properly advise patients. For example, one study found that a quarter of gynecologists and a third of general practitioners were unable to answer questions about vaginal dryness, which up to 45 percent of women will experience at midlife. The stigma around menopause—and, well, aging in general—can also lead women to avoid bringing it up with their doctor, says Dr. Shepherd. “Many times menopause is seen as a negative time frame in life, and women sometimes associate it with shame,” she says. But platforms like Rory are seeking to normalize it, making information and (stylishly designed) solutions as accessible as possible. Rory works similarly to other telemedicine startups: After filling out a virtual “office visit” form on Rory’s website, with questions about one’s health history and concerns, a doctor will review the information and set up a phone call, video call, or chat, depending on the patient’s state regulations. The doctor will then recommend a course of treatment—either over-the-counter or prescription. Although Rory doesn’t accept insurance or HSA/FSA, the physician consult (available in 47 states) only costs $15 (compared to the average primary care visit cost of $106), and Blank notes that there will be periodic promotions where the first-visit fee will be waived completely. Patients also get unlimited messaging with their Rory physician free of charge, as well as access to the site’s educational library and Facebook-based support community. As for treatment, Rory currently offers solutions for four main menopause symptoms: insomnia, hot flashes, vaginal dryness, and eyelash loss. Prices start at $9-$25 for supplements (including a $13 vitamin E and black cohosh blend for hot flashes) and go up to $20-$60 for prescription mediations and $100+ for Latisse (for eyelash growth). Patients will have the option to purchase that treatment direct from Rory. They can take their prescriptions to a pharmacy instead, but Blank says the prices may be higher than what’s offered on Rory, depending on location and insurance coverage. For people who are not in a state covered by telemedicine or who choose not to consult with one of Rory’s doctors, they can still buy the brand’s supplements and other OTC products, access the company’s online educational resources, and join the Rory Facebook community. Blank emphasizes that Rory isn’t trying to compete with its clients’ own doctors. “We really view ourselves as a partner for the health care system,” she says. She adds that the platform’s doctors won’t prescribe medication if the patient hasn’t seen a doctor IRL in the past two years. If a Rory doctor feels that a patient’s symptoms need to be investigated more thoroughly, they’ll give the patient specific questions to ask their care provider. “[We want to give people] the support and education and tools to help them advocate for themselves in the health care system,” Blank says. Ultimately, Blank hopes the services offered by her company will lead to a lot less needless suffering in the name of haywire hormones. “A lot of women think the only option is hormone replacement therapy, when in actuality there are other solutions, both all-natural and prescription,” she says. “We’ve compiled them so women can figure out what’s best for their needs.” Because really, the only place you should be sweating profusely and feeling miles away from sleep—at any age—is the gym. Still years away from menopause? Science says these foods can slow down—and speed up—the big event. And if it’s too late for that, here are the essential oils that may help soothe your menopause-related symptoms.